December | 2014 | Franchising You. 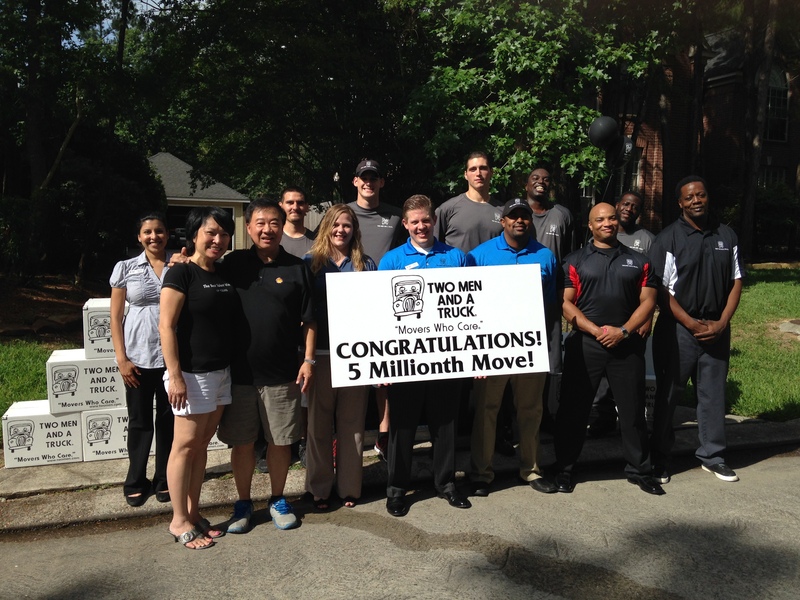 Here at TWO MEN AND A TRUCK®, success is not something that is expected or handed to our franchises, but is earned. Everyone within the company, specifically our franchise leaders, work from sun up until sun down to make their locations the thriving, growing businesses they are today. Any decisions or efforts we do are made with the best interests of our customers. Looking back on the past year, it is safe to say that 2014 was a good year for TWO MEN AND A TRUCK®. We expanded into 38 states, opened a record number of new locations, welcomed new faces into leadership roles, and broke historical records. Well, maybe our company had more than just a good year. Perhaps we can say it was an unbelievable, wonderful, and incredible year for our entire system. Needless to say, each and every individual within TWO MEN AND A TRUCK® worked with determination and dedication to this brand, propelling the company toward success. This momentum shows no sign in slowing or stopping next year, the year after, or any time in the future. Soon, we’ll see the TWO MEN AND A TRUCK® name across the entire nation. Like what you hear about the TWO MEN AND A TRUCK® system? Be sure and check out twomenandatruckfranchising.com for franchise opportunities. We know franchising is a big decision, and our goal is to provide potential franchisees with easy options for getting to know us right out of the gate. TWO MEN AND A TRUCK® Discovery Days are very much an essential piece to developing business partnerships. During Discovery Days, franchisee prospects will meet face-to-face with our executive team to learn more about each other in order to ensure the partnership will be a success. The meeting consists of discussion about the prospect’s business plan, their personal background, and their professional experience. The rest of the time is spent providing the prospect a much more comprehensive understanding of the tools, service and support, and day-to-day dynamics at TWO MEN AND A TRUCK®. At the end of Discovery Day, both parties return to the table and determine whether the partnership and opportunity is poised to move forward. At TWO MEN AND A TRUCK®, we partner with a system of great franchisees committed to strong core values centered on stellar customer service. While our franchisee partners work hard on their businesses and focus strongly on accountability, we provide them the tools to build effective and efficient teams and operations. We want to move you forward into this business venture and partnership. Our system and partnership with franchisees work, producing more than 59 months of growth and 43 consecutive months record of growth. To learn more about our franchising opportunities visit twomenandatruckfranchising.com.